Hi everyone, my blog is up and down lately; I try to update whenever I can. Not that I'm free at all but when I'm really free I like to steal the time to actually relax and do nothing. I've been cooking as usual and share my photos on IG but don't really sit down and blog about it. I feel so long that I actually got time to sit down and blog. Today Abraham went out and little Sahara in slumber land so I try to steal this time to at least share something. I wanted to share this Salmon recipe that I recently made. I hardly buy salmon or eat the often outside. But I found this recipe I love the flavors and I'm sure it will turn amazingly delicious. 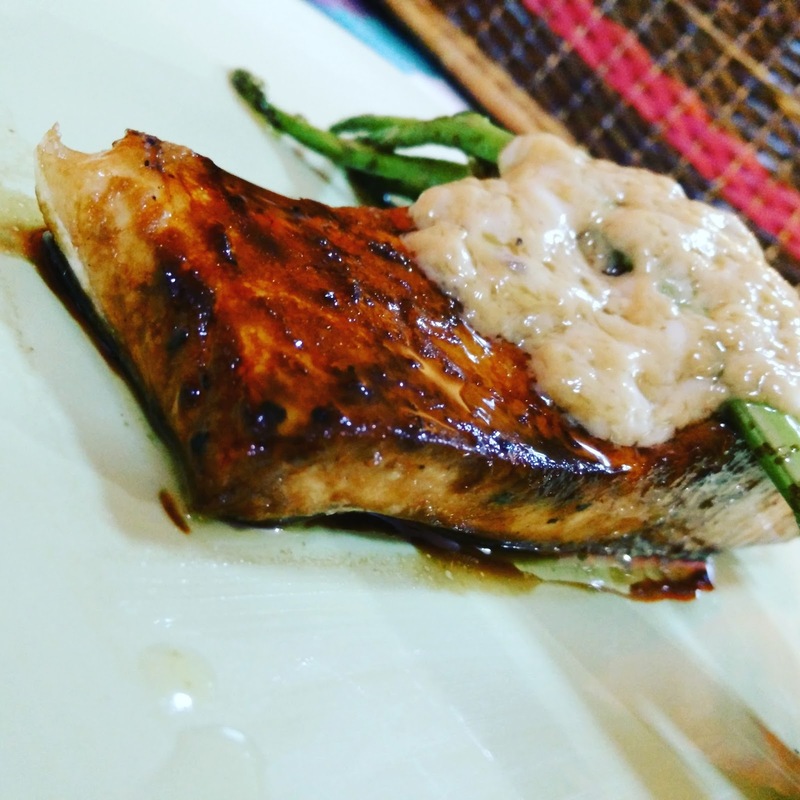 Plus, one of my blogger friend Rafeeda hoping that I share this recipe anytime soon. but my so called soon kinda late haha sorry. 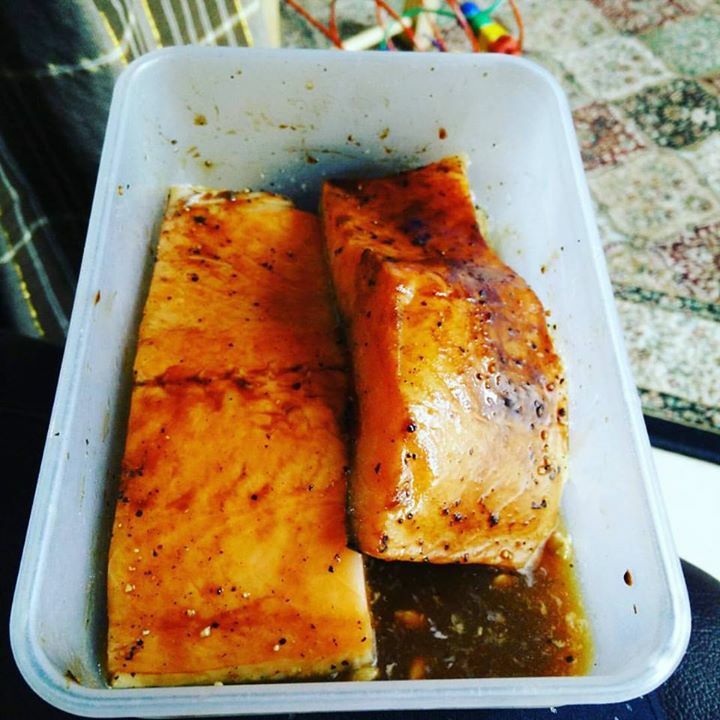 Season the surface of the salmon with salt, black pepper, dark soy and worcestershire. Set aside. Heat up a skillet with the olive oil. Pan-fry the salmon until half done. Add the garlic into the pan until slightly browned. Add the honey mixture into the skillet, reduce the sauce until it’s sticky. slowly add in the salmon and cook for about 1 or 2 mins for both side. Make sure the skin side stay crispy. I know I'll love this mix! Looks very tempting! The recipe is so wonderful! Thanks!